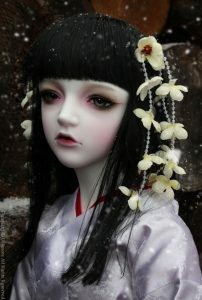 We are absolutely loving Dollmore’s new Trinity Doll – Snow Flower (White Jude)! 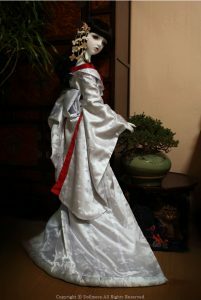 She is limited to 10 dolls, and simply stunning. After playing with a friend’s Dollmore Lusion Elf Dahlia last weekend, I have to admit the bigger dolls are now appealing. Not sure we can fit them in our current apartment, but some day one will be on the way (hopefully both!). Check out the gorgeous-ness that is the new Dollmore Trinity. She is just stunning!